You'll always find the latest issue of your favourite weekly, monthly and specialist magazines at Churchill Newsagency. Here's a preview of the front covers of the current issues of some of our most popular magazines. We stock a wide range of magazines for you to browse and purchase. 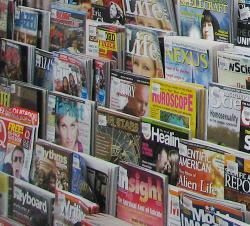 You may also search online from over 6000 magazine titles that are available for you to order. Click below to search for the magazine you would like then contact us and we will order it for you.